Jim and Frank are teenage boys who love adventures. One day, Jim’s Grandfather sets Jim on a quest to find him, that leads the two teens further into a mystery than they could of ever imagined. With twists, turns and some interesting puzzles, can you help solve the mystery of the Blood River Files and find their Grandfather? This is where the game truly shines. With original songs and hand drawn scenes, you can tell how much effort went into creating the feel of mystery or depth of field. As if 99Games didn’t do enough, they also took the time and care of making nearly all the scenes at night as well. This is when most of the creepy or mysterious parts of the story occur, and the darkness has been used perfectly to portray this. 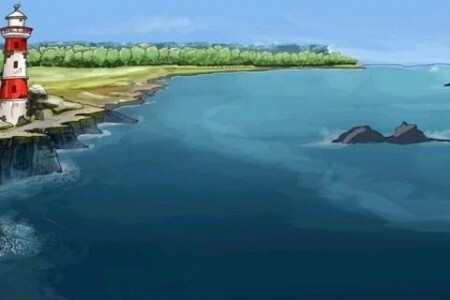 The only problem graphically is that the artist did not put as much detail into the characters of the game as they did with the background, but this adds a cartoon effect to an otherwise beautifully drawn game, and does not remove anything from the gaming experience. 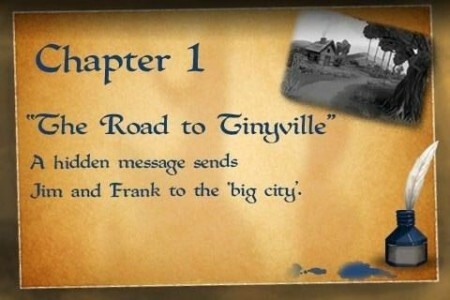 One small problem of Jim and Frank Mysteries is the similarity of around five to eight puzzles to the more well known Professor Leyton and the Curious Village. This, however, can be forgiven as all other puzzles are unique to The Jim and Frank Mysteries, and add their own thought provoking and interesting aspect to the game. There is also, at specific points in the game, tasks that are given, that cannot be skipped and must be completed for you to progress through the story. 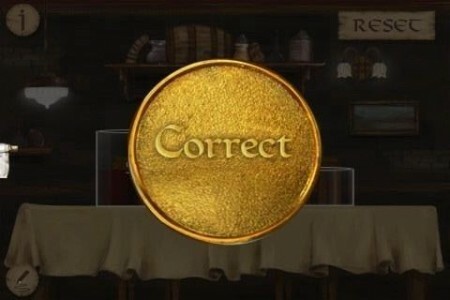 These can get frustrating when you just can’t seem to complete it, and take a lot of perseverance to finish. The game is also split up into chapters. The addition of these Chapters give a greater structure and give a summary of the chapter you just completed. They also tell of what you either need to do, or will do. 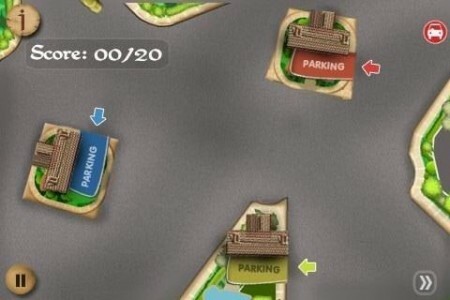 The controls are very simple and easy to use, but are very linear in the fact that you can only walk in one direction that is pre-determined by the game. It would of been much more interesting if you could choose which way to go. In Jim and Frank Mysteries, you collect all manner of things. These are Eureka’s, Nuggets, Photo Snaps and Cue Cards. Each have their own individual use that can be used to help you through the game. Eureka’s are the hint and skip currency. In every hand-drawn scene, 2 Eureka notes can be found. If these notes were better hidden, it would of made the game a lot harder than it was, as it would of added a lot more worth to the notes. There is an option to buy extra Eureka’s, but it really isn’t needed because of how easy they are to find. Nuggets show you how well you performed in every puzzle, and vary in amount depending on the difficulty of the puzzle at hand. The amount you can get vary from ten nuggets, to fifty nuggets. Photo Snaps and Cue Cards unlock bonus puzzle, and original artwork when fully completed. The cue cards unlock six additional puzzles that are at a higher difficulty than most in the game, whilst the Photo Snaps, when arranged to form a photo unlocks all the original artwork provided by the development team. These keep you very interested, and urge you to move forward in the game to unlock these extra benefits. The story of The Jim and Frank mysteries is original, interesting and doesn’t leave any unanswered questions. With the addition of voice acting, small animated cutscenes with the combination of brilliant and humorous writing makes the game very intriguing and engaging. The simplicity also means that it is suitable and understandable for many young children, further increasing the demographic that the game reaches out to. However, the lack of re-playability and the short length of the game lower the amount of capsules it could of received. The lower quality of the hand drawn characters in comparison to the background also lower the score. After all this is taken in to consideration, The Jim and Frank Mysteries receives a FAIR rating of 7 out of 10 capsules. I'm a huge gamer, with a reasonable "following". I love my iPhone to pieces and am a very cuddly person. I'm also a Call of Duty beast, and would love to play some time!